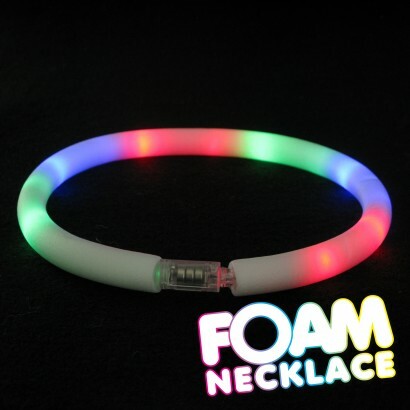 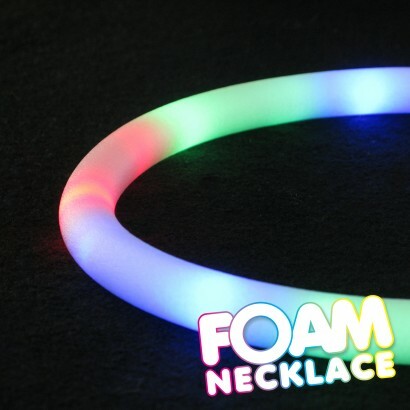 Super bright and lots of fun, the flashing foam necklace is packed with multi coloured chasing LEDs that shine through four cool sequences! 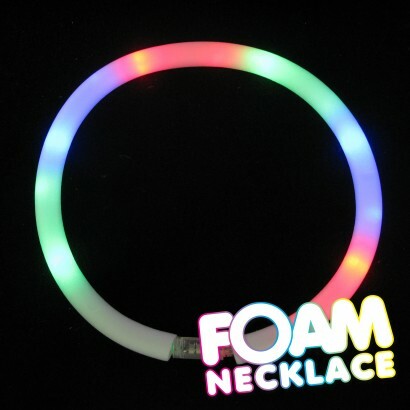 A rope light style necklace is coated in soft, tactile foam for a unique almost futuristic vibe, and because you wear it around your neck, your hands are left free to party! 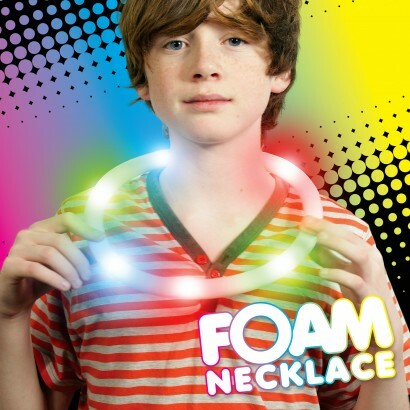 One size fits all, with easy on/off fastening and soft foam casing.